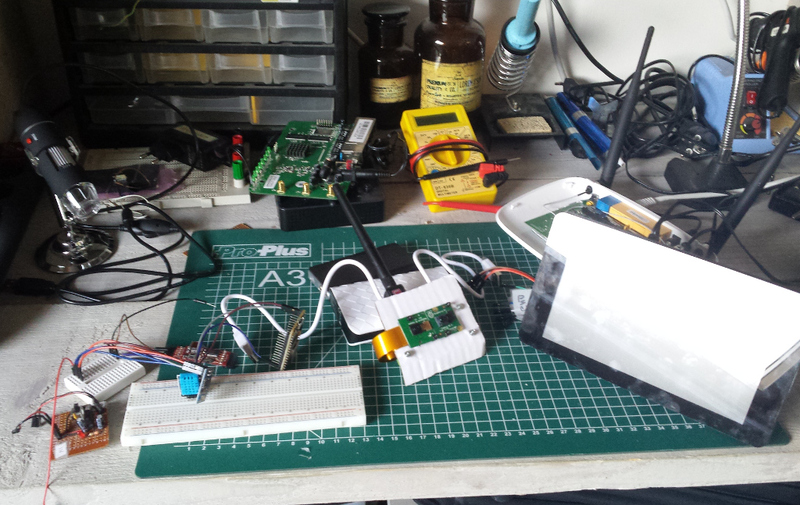 If you are following the blog you may have read two entries about router hacking in December. The first one (http://papermint-designs.com/dmo-blog/2016-12-hardware-hacking-box--serial-access-to-routers) was about accessing the serial port on my reference router and my plans to use an SBC as a generic Hardware Hacking Platform. Then, I tried to repeat my success with two others wifi router (http://papermint-designs.com/dmo-blog/2016-12-hardware-hacking-box--help) but I didn't fully succeeded. Actually the small wifi repeater I mention in this last blog post, got in and out the desk during December. I still have to explore the JTAG interface in my TP-Link test router and the Eminent one, and that is the reason why they are still on the desk. I'd got for Xmas, the cables to connect the Raspberry Pi Camera to the Raspberry Pi zero and that I tried it and got some project ideas (http://papermint-designs.com/dmo-blog/2016-12-3-raspberry-pi-projects-for-this-christmas) for the vacation. There is nothing to write about yet, but I have already done some test for the stereo image. You can see in the centre of the header image the two RpiCams together on a piece of cardboard. Unfortunately, one of the cameras is v 1.3 and the other is version 2.1 and looks like the Field Of View is different... I still have to check if there is any way to adjust them. This is how video streams looks like right now. My little ESP-8226-01 is still in the table (now in the bottom left side of the area), but Xmax have brought a couple of NodeMCU modules featuring ESP-8266-12 modules. Both modules are laying sideways to the camera, but I think you can identify the NodeMCU as the rightmost and bigger one. NodeMCU can be conveniently programmed in Lua. That's pretty awesome and I finally tested a DHT-11 temperature/humidity sensor I bough a couple of years ago. I improvised a mobile sensor using a USB power pack and connecting the NodeMCU to my home wifi. Then I could monitor the temperature in the garden with my phone. The DHT-11 does not look very accurate, but it was fine for this test. A write up will come soon... probably in Spanish for Occam's Razor. You can see another of my Christmas present on the left side of the picture. It is a very cheap USB microscope. It is far from being great but it is more convenient that the magnifying glasses I was using before. I guess you will be see soon pictures from this device in my posts.